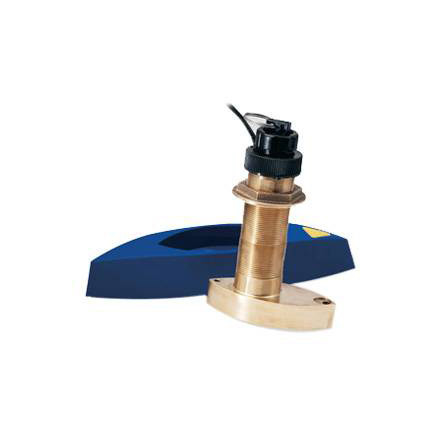 This tilted transducer protrudes less than a quarter of an inch outside the hull and can sit on trailer rollers/bunks without damage. 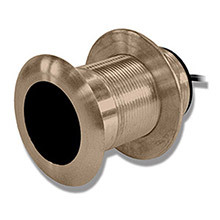 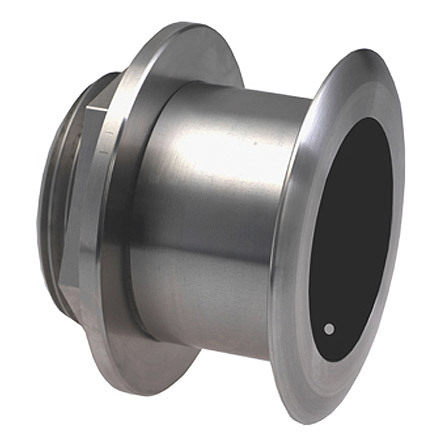 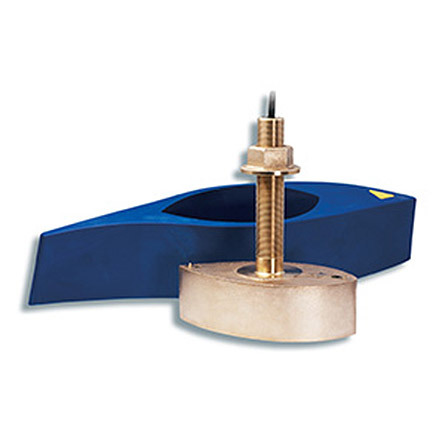 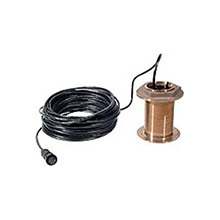 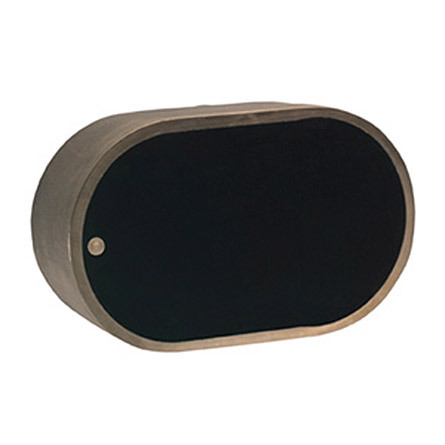 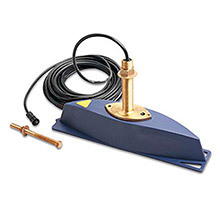 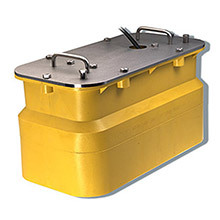 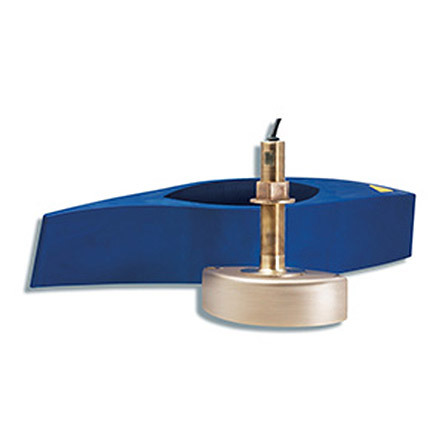 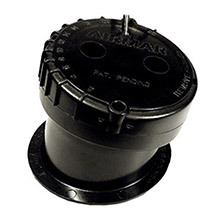 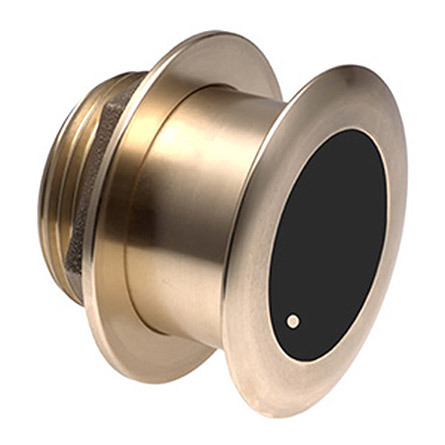 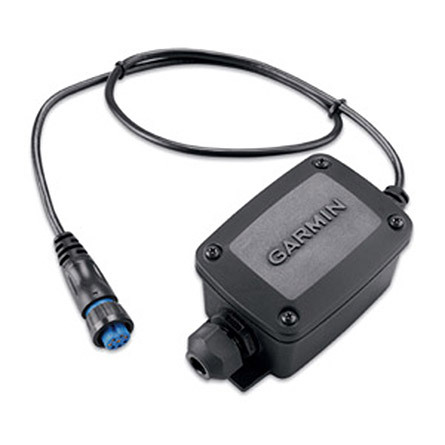 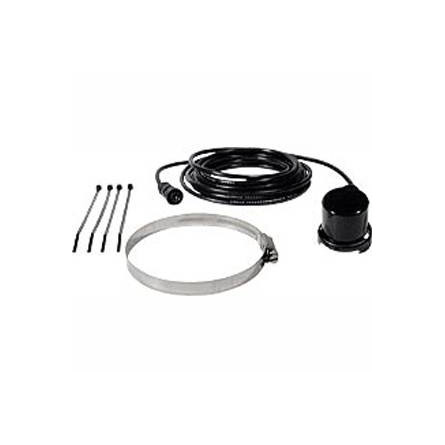 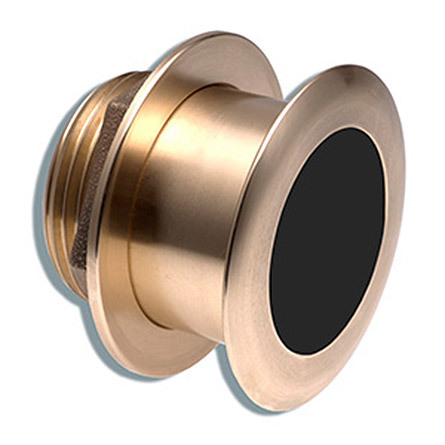 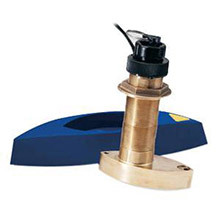 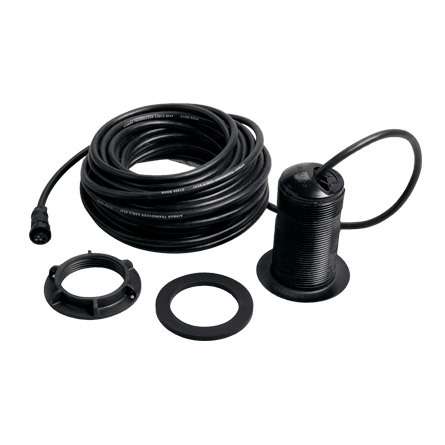 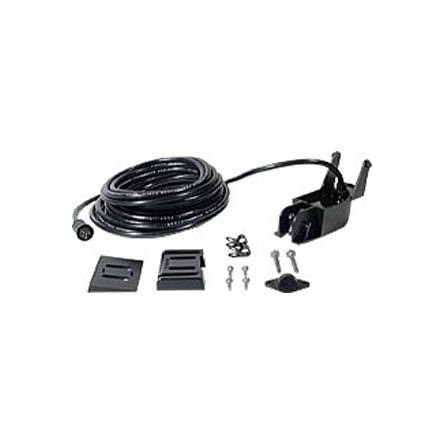 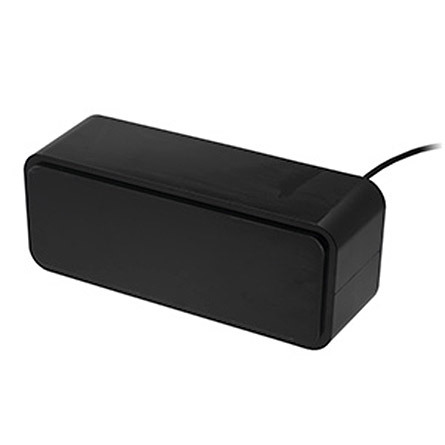 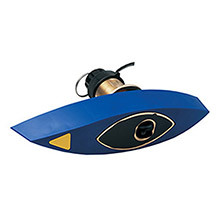 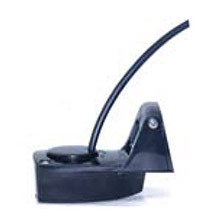 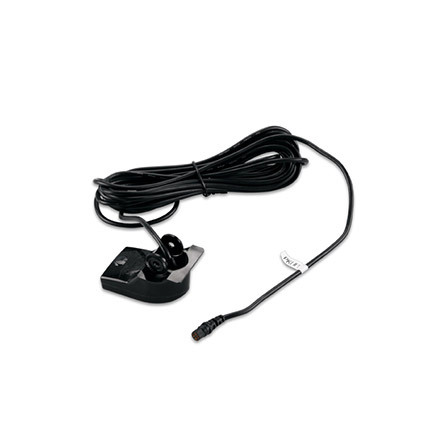 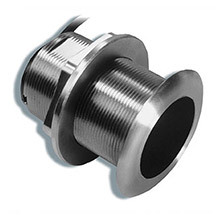 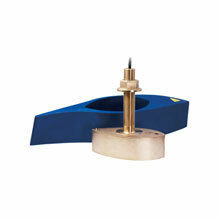 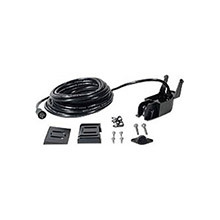 An excellent choice for fiberglass and wood hulls, this 1 kW bare wire, bronze transducer has a maximum depth of 3,000 ft; an operating frequency of 130 to 210 kHz; a beamwidth of 6 to 10 degrees; and mounts on a 8 to 15 degree deadrise angle. 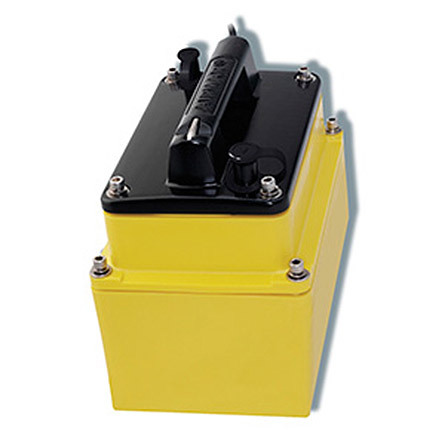 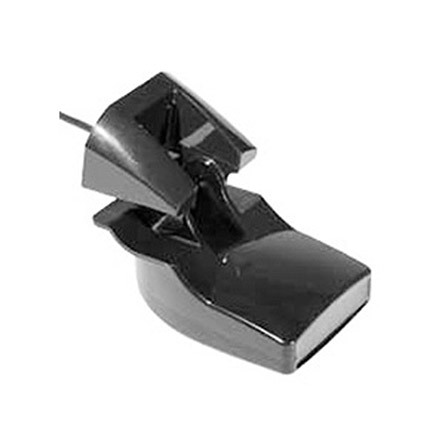 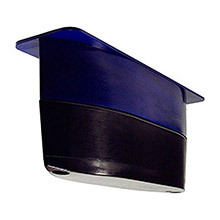 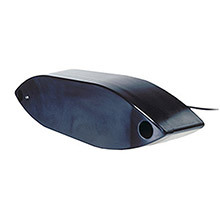 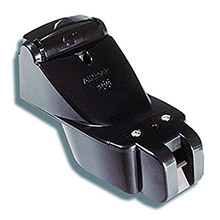 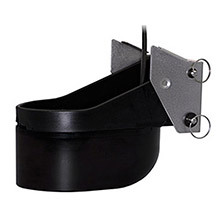 The tilted element inside the transducer accommodates all hull deadrises and eliminates the need for a fairing block.